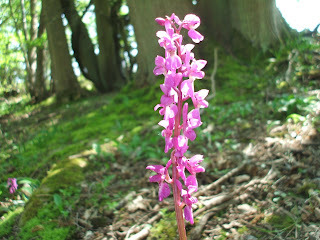 The bluebells are almost over now, but early orchids are quite common if you know where to look. Along the banks of the woodland streams there is one plant that you know you're going to find before ever they come into sight. 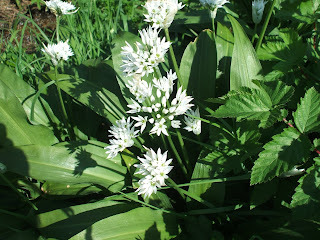 - wild garlic is just coming into bloom. So pretty, like little starbursts in the shade. I'm so lucky to live in such a beautiful area, Kent really is the Garden of England. The wildflowers there are just gorgeous! What a beautiful area you live in! Oh I just love the fragrance of wild garlic - and I believe it's edible, though I've never been brave enough to try! 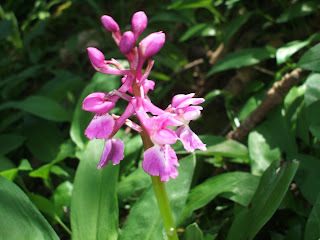 What lovely wildflowers you have shared with us! I've never seen the wild garlic bloom before, it's a pretty one! Kent does seem like Earth's garden - these pictures are gorgeous!